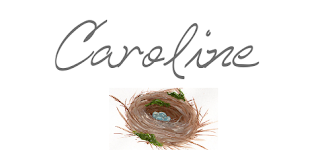 Congratulations, Caroline! A well-deserved honor. 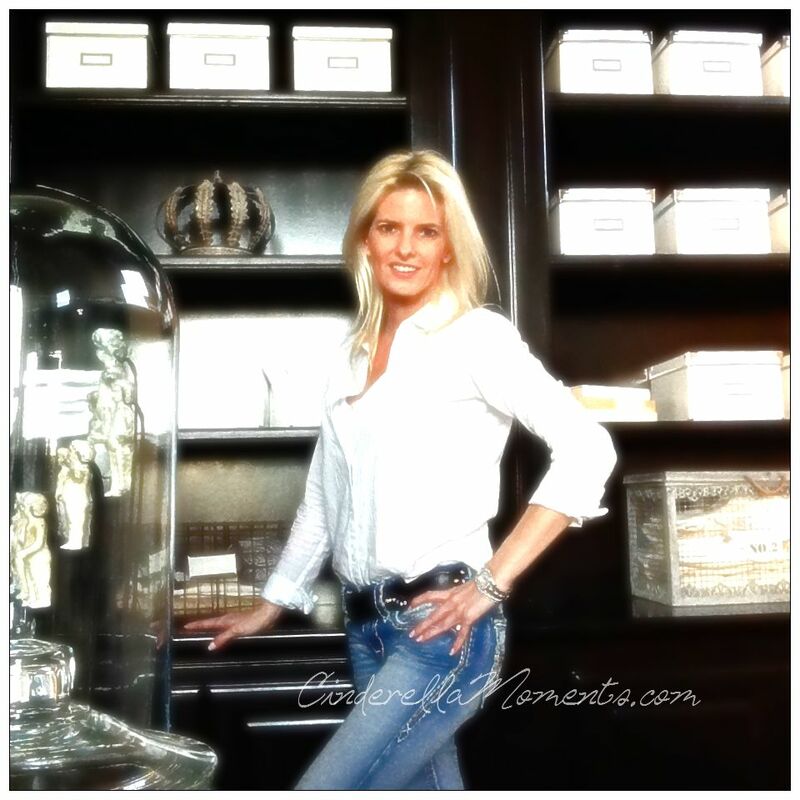 Thank you for all you do to make your miniatures and your process so accessible to so many! Congratulations Caroline! Everything you do should be published!! :) Well deserved. Congratulations, Caroline! a beautiful cover, I would like to browse inside, it must be great. Felicidades. Una publicación muy merecida. Congratulation!! You know you got it going on. Congratulations Caroline on being published you are also on the cover of "Dollshouse World" As soon as I seen the cover I knew it was one of your houses your style is so beautiful. I very much enjoyed the article. Thank you for sharing so much of your magic. Congrats, Caroline, it's so well deserved! I wish I also could read the article...but seeing your mini scene on the cover with the mini bike is wonderful too :D! Congratulations Caroline, your bike is so very miniature fine. It is so well deserved your style is very delightful. Muchas felicidades Caroline, realmente mereces esa publicación y muchas más. Congratulations. I think I need to subscribe to the magazine. I have painted one little bike from Hobby Lobby for the Ballet Studio, Cinderella Moments inspired. It turned out okay. I need more practice. I do hope that you are safe and dry. Muchas felicidades Caroline!!! Siempre es satisfactorio ver uno de nuestros trabajos publicados!!!! Fabulous Caroline. Must try to get a copy. Felicidades! Disfrútalo con orgullo, tu trabajo es digno de esa portada! Congratulations Caroline...I'm very happy for you! You are so talented...thank you so much to share your pation with us! Wow Caroline, what a well deserved honor that is! I've heard of quite a few bloggers who just randomly discover they're in magazines...I always thought they had to ask first but I guess not??? Anyway, that's awesome! So well deserved hon! Its a lovely little scene! I think it makes you feel like you re about to enbark on a lovely weekend ride! Congratulations on the cover and article! I can see why they wanted to print that, you make such wonderful scenes! Congratulations on being published again and for being on the cover of such a big magazine. You deserve no less and it's important that all world knows about your magic creations!!! Lots of love!! Congratulations! The mini bike looks amazing and it must be very exciting to see it on a magazine cover! No me sorprende que publiquen tus trabajos, son verdaderamente una maravilla, hermosas obras de arte llenas de encanto. 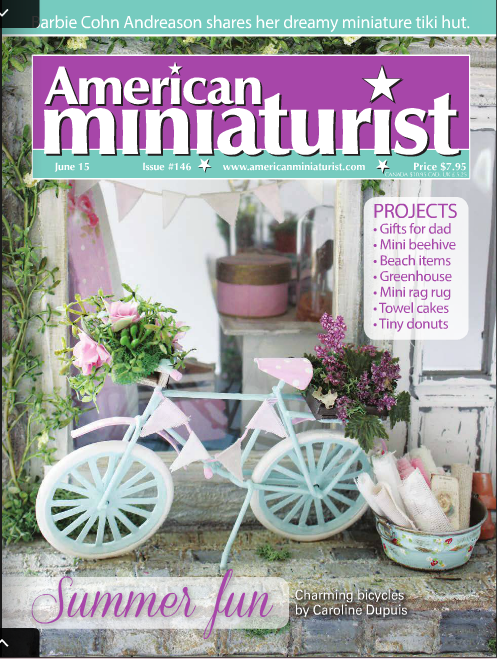 Your "mini" bike is absolutely gorgeous Caroline and looks amazing on the front cover. You're such a talent!! Hope all is well and sounds like you furry kiddies are doing well too. Wow! Congratulations - a really well-deserved honour!